The Mendoza Team is the best! Mike and his team sold my house in 11 days!! They were easy to work with, knowledgeable about the area including the comps, professional, friendly and were on top of everything that needed to be done. It was a breeze for me to sell my house, the Mendoza Team did all of the work for me. Thank you to The Mendoza Team! Sold my house in Ahwatukee with Mike Mendoza and his team and could not be happier. They are an exceptional team and experts in that area. They know everyone! They are highly communicative, professional, diligent and very customer service oriented. I would highly recommend Mike Mendoza to others. There is not enough that can be said about Mike and his team of professionals at Mendoza Realty. Our purchasing experience covered a 6 month period of trying to finding the perfect home for our family. Throughout the process Mike exhibited a very thoughtful and reasoned approach to finding the perfect home. He is extremely knowledgeable of market conditions, as well as specific things to look for when considering a home's condition, location, and value. There was never any ego or high pressure involved to close the sale. He just wanted to make sure that as a buyer, all of our needs were met. And once we did find the perfect home, his staff was second to none. Constant feedback and communication, regular follow up regarding the status of closing items, and of course the post sale follow up to ensure satisfaction. If you are looking for a realtor who does everything to put the customer first, look no further than the Mendoza Team. We would certainly engage them for any future needs. Mike and his team have been awesome and sold our property in 1 month. His knowledge of Phoenix market is unparalleled. Highly recommended and will use mike for our next real estate transaction. Paul expertise in his field is top notch. Mike and his team are exceptionally competent at what they do, and they are friendly and easy to work with as well. Their local real estate knowledge runs deep as they have built a solid practice with many years of experience in the Phoenix area. They are immediately responsive to phone calls, emails, and texts, and their follow-through is reliable and thorough. Each member of the team stays in the loop on each aspect of the real estate transaction, so clients can count on accurate updates no matter which of Mike's staff responds to their queries. Our family had a very positive experience with Mike, Cheryl, and Tristin; our property received excellent exposure, they negotiated skillfully between three separate offers on our home, and they guided the best offer to a smooth, hitch-free closing. We wouldn't hesitate to enthusiastically recommend the Mendoza Team to anyone either selling or seeking a house in the area. The Mendoza team and Mike are the best realtors I have ever worked with. They were professional from start to finish. My home sold in less than 3 weeks. They answered any questions I had quickly. Mike found my Son a once in a lifetime home in the Foothills in the Million $$$ range . He also was able to Stage and sell the existing house in Mountain Ranch area within a couple of weeks on the market. I wanted to be able to visit my son from Texas but not be a distraction . Mike Found me a very nice Condo in the Foothills which I could leave and forget since it was also in a gated community. I've know Mike for a long time. I went to the Mendoza Team as I knew one thing. Mike has always been a man of integrity and honesty with a super work ethic. I found his team to be fantastic and there follow up and communication was great. The sign went into the ground and the first offer was actually $100 over our asking price. We had no illusions with the process and had a short close. Awesome work Mendoza Team. We have worked with several Realtors and Mike was the best by far! He was professional and worked hard to sell our home for a good price in a reasonable amount of time. I especially liked the on-going communication I received from Mike and his team. Excellent Realtor very knowledgeable and knows how to sell a home! I was assigned to Paul Eide on Mike's team. Paul is an extremely helpful person. He is always happy to assist with anything I need. He not only walked me through the entire process of purchasing my condo in February, but he continues to be of service to me, since I will be moving across the country in June. He has gone to check on my condo several times and has assisted with a problem I am having with the local electric company. He checked my mail and forwarded it to me. He made a duplicate key and dropped it off at my friend's house so they could also check on it periodically. He is always willing to go out of his way to help and always makes me feel he is happy to do it! I would recommend Paul to anyone as a top notch realtor with a great personality, easy-going and very responsive! I wanna thank this team on there hard work. The service was a great experience and how they were such a great help within less than a week notice. Thank you very much. I would recommend there service to any one! I contacted the Mendoza office for assistance with the sale of my mother’s home earlier this year. Everything went so smoothly - from the listing of the home all the way through the closing of escrow. Mike and team were incredibly responsive and most helpful in answering any questions I had, or in conveying information relating to the sale of the home. It was truly such a pleasure to work with Mike (and his assistants Cheryl and Tristan). Outstanding professionalism and integrity. 5 stars all around! Mike and his entire team are fantastic. Mike, Cheryl and Javier are all highly responsive and very skilled in their respective areas of expertise. Mike's knowledge of the Phoenix market is astounding. He seems to know everyone! He was able to match another of his clients with us to enable the sale of our home prior to listing! Amazing! And on the flip side, he helped us find our dream home. Thanks Mike and team! Mike was extremely supportive and patient with me. Was very thankful for the help and knowledge Mike shared about the area and local developers. Very happy with new home. The Mendoza Team has made a dream come true for me and my daughter! Mike and Jeff worked together and made this buying experience painless. I used KW ( KELLERWILLIAMS ) In California to sell my home last February. I got the same awesome Real Estate Professional there. Good job team. We enjoyed working with Mike and His team. Communication was very clear and responsive.. His team helped us get the house ready for showing so that it would present itself nicely for the buyers. When setting the price Mike had very good comps. He evaluated our situation and the market and presented us with what he thought would be a good price for us to make the sale. We felt very comfortable working with him. Mike and his team were very friendly and helpful throughout our home search. Mike even gave us advise on selling our current home, which our neighbor ended up offering cash for. I worked with one of Mike's associates (Paul) on our new home search. Paul was never pushy and never seemed to tire of showing us homes (even though we must have toured nearly 20 homes). They have a strong relationship with a lender that I have really enjoyed working with, too. I'm glad to recommend the Mendoza Team to buyers or sellers. The Mendoza team helped us to purchase our home and it has been by far the best experience with buying a home we have ever been through. We were moving from another state and Mike and his team went above and beyond to fit as many home showings as we wanted in our small window of time traveling between states. They also were so easy to get a hold of through email and phone walking us through every step of the process. I wish we were able to use them to help us sell our home out of state because I'm sure they would have been able to make that as easy as buying the one we did in AZ. If we ever purchase another home you can be sure we will be using Mike and his team! Mike is great to work with. Very professional. He has a great team. The process was easy. They were always available to answer my questions and work with me. Completely amazing and efficient staff , very friends and was such a pleasure working with them. Thanks to the amazing efforts of the relater i was able to find an amazing 4 bedroom 3 bath home that's stunning! Mike and his team, Javier and Cheryl, were very helpful in making the sale of our home as easy as possible. Their expertise and easy, friendly manner helped greatly. We interviewed five realtors before choosing Mike to list our house with. Our house represents a major investment and we take the sale of it very seriously. Mike and his team performed the most thorough and comprehensive analysis of comps. This helped us greatly in deciding the most appropriate and effective listing price. When choosing who to list your house with we strongly recommend Mike. After two, six month sessions with two different realtors with no offers, Mike and his team came in and sold our home in six days for more than either realtor ever listed it! His team is truly a team and they work so well together. I would recommended them to anyone. Mike sold our house before it was officially listed! He did a great job coaching us on how to present the home to maximize the sale price and close the deal in the shortest time. Mikes reputation and experience shined in our transaction. He seems to know everyone and I've never heard a negative comment from anyone. From the sellers perspective, I appreciated working with someone who understood that it was important to turn our family investment into cash. I should also say how impressed I was with his staff, who were on top of every detail and deadline. We would definitely use the Mendoza team in the future! Paul went above and beyond what was expected. He was always available to field calls and was able to show houses around our work schedules. I would highly recommend Paul for anyone who needs a realtor in the future. Mike and his team did an excellent job of marketing and selling our home. Very professional during all phases of the home selling process. Enjoyed working with all his team members, who were always willing and able to help me and answer questions that came up. Good team..good results!! Mike Mendoza and the Mendoza Team were very instrumental in helping me find a home to rent due a recent job relocation from NY to the Phoenix, AZ area. Mike Mendoza and his Team were referred to me by a hometown friend who had worked with Mike and his Team. Moving across country to an area that I had never spent more than a week (only once), was pretty stressful, but the Mendoza Team made this part of the transition smooth. Mike personally responded to all calls and answered any question I threw at him. Mike was able to find me the perfect spot to call Home after discussions on what I was looking for. Thanks to modern technology, he even went to the property with a local friend, and I was able to see the home via FaceTime! Both Mike and Javier have followed up after I arrived in Arizona adding even an extra level of confidence that they do care about their clients. 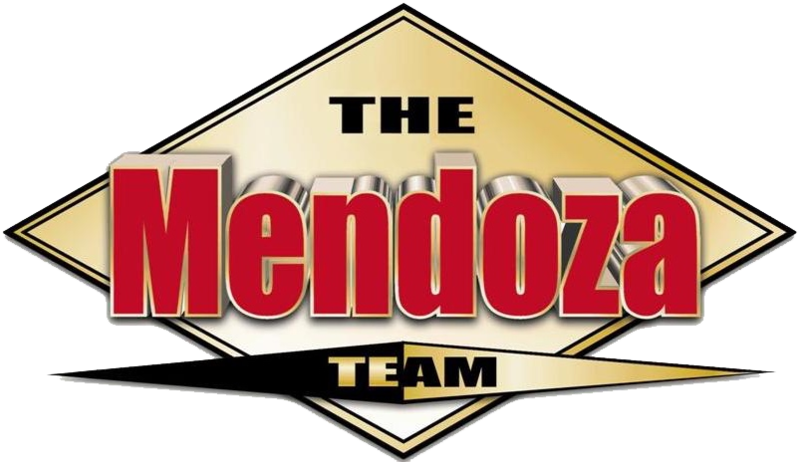 If you are looking for a knowledgeable team that goes above and beyond to work for you, Mike Mendoza and the Mendoza Team is your team! Thank you Mike! Mike and his staff were professional, helpful, and knowledgeable. They made the whole process of going from listed to sold a breeze. It was a pleasure to work with them. Mike Mendoza and his team has sold 3 of our homes,for each. He and his staff sold our last home in three days with multiple offers. We even received a call from Mike asking if we needed help moving. We are always treated as special family members. Mike and his team are great! Very prompt with returning calls and working with our seller on specific requests. I would recommend Mike and his team ( Javier Hernandez and Cheryl) to anyone buying or selling. I can not say enough good things about Mike Mendoza. My family and I moved from Oregon to the Phoenix, Arizona, and Mike was recommended to us by our agent in Oregon. Mike was very quick, thorough, and caring about our needs and concerns. The job that we moved here for fell through, and we let Mike know that we could not purchase a home at this time. Mike then immediately jumped into action and showed us houses in the area to rent. Mike is very knowledgeable, efficient, and is truly compassionate about his job and his clients. Paul Eide and the Mendoza team did an outstanding job with the purchase of my first home. Paul was able to use his knowledge of the area to find a home that was within my price range, in Ahwatukee with a pool! My new home far exceeded my expectations. Paul was able to negotiate a deal well under asking with the house move in ready by closing. I'm grateful that Paul and the Mendoza Team was on my side to get me through this process. Amazing work and would recommend to all!!! Mike and his team did an excellent job in regards to the sale of my townhouse. It sold quickly and the process moved along with no snags. I highly recommend Mike and his team! We chose Mike Mendoza to sell our parent's house in Ahwatukee as we did not currently live in the neighborhood and knew Mike was an area expert. His recommendations to prepare the house and suggested sale price were spot on, with the house selling in about three months. His team worked hard to sell the house, which had not been updated in over 20 years! We worked with Mike, Cheryl, and Greg from this office. They were all very helpful and knowledgeable. Mike was very hands on with the listing of our home, Greg held a few open houses, and Cheryl was very involved in the purchase of our new home (and also again with the sale of our home.) Cheryl was very responsive to calls, emails, and texts with all of our questions and concerns, and patient in working with myself, my husband, and other family members involved in the process. Would definitely recommend the Mendoza Team! Mike did a superb job. I was selling my house while I was in New York. Mike did an amazing job preparing the house, getting skilled craftsmen to fix problems and then found me two buyers in a timely fashion. mike knows EVERYONE in Ahwatukee. If you are buying or selling in Ahwatukee, you should speak with Mike and get him on your team. I had heard so many wonderful things about Mike Mendoza and Team but to have experienced their expertise in selling my home is something I will never forget. Mike Mendoza along with Tiera Motley provided a professional and family environment in working with me. They worked countless extra hours and also did maintenance on my home to ensuring it was ready for sale. The Mendoza's team did this all while I lived in another state. I will be forever appreciative on how they took great care of me. You are the best Mike Mendoza and Tiera Motley!!! I highly recommend Mike Mendoza to anyone seeking the highest degree of real estate representation. I can unequivocally attest to the outstanding quality of service delivered by Mike Mendoza and team associates with buying and selling our properties. Mike's incredible depth of knowledge in real estate demographics, administration of contractual details combined with expansive marketing reach proved awe inspiring. Mike kept our best interests at play every step of the way, and for that we are truly grateful. Thank you Mike! The Mike Mendoza team, an in particular, our agent Paul Eide went above and beyond for us. We were purchasing from out of state and Paul's coordination during the process was invaluable. He made extra trips to the property to check on the things we couldn't and gave us piece of mind throughout the process. Mike and his team did a wonderful job marketing and selling our home in record time! We would recommend Mike Mendoza and team to anyone looking to buy or sell a home! Many thanks and appreciation to you all! If I only had one word that I could use to describe Mike's support for us while we were prepping to sell our Phoenix house, showing our home and leading to the final hours of the final sale it would be "Outstanding." When we first met, Mike showed up at my home for a meet and greet and spent an afternoon informing my husband and I about every detail we would need to know about putting our house on the market. I felt completely "House sale" ready after he left us that day. The photos that Mike used for the marketing of our home were just beautiful. During the showings Mike kept us well informed of any details we needed to know about to ensure we did our best with the showing. In a relatively short time we had an offer and we were ready to move to Flagstaff. Thankyou Mike for making our home sale go as smoothly as you did. Absolutely amazing , really professional and we're willing to work with me and my family even while they were over seas and helped me find my new house and love it , I already recommended them to another client of there's and she also bought a home with there help! The Mendoza Team has helped us sell a house and townhouse. Mike has also helped us buy two houses and has assisted my daughter in buying her first house. We have recommended Mike to my sister in law and they helped her find the perfect house when they moved to AZ from Florida. They also helped our friends find the perfect house when they moved from Colorado. He knows the market and the current economic environment which helps his clients in negotiating the perfect deal. They worked real well with my wants and needs of looking for a house. Very friendly and fast and motivated people. We were able to close the house in a very timely manner a lot sooner than what I thought. Our first real estate experience with Mike Mendoza was over 20 years ago when we first moved to Arizona. Since that time we have listed and sold many properties with him as our agent with great satisfaction. We continued to use him in every transaction as well as refer him to friends and family because he is professional, knowledgeable, and trustworthy--all the qualities you want in the biggest investment you will make in your life. I can highly recommend him with confidence. My Realtor, Paul Eide was very helpful and knowledgable! Truly a great experience working with the Mendoza Team! From the start to the end, I was always informed and educated on important issues that pertained to the purchase of my new home. I would recommend Paul Eide and the Mendoza Team to anyone who needs confirmation that they hired the best and that they will receive the outmost professionalism we deserve as consumers! Mike has been my "go to" realtor for the past 30 years. Mike has a strong work ethic and is both creative and persistent in his efforts to create win-win solutions for his clients. Mike is able to blend professional skills with his likable personality to help make the real estate purchase/sale experience work in the best interests of buyer and seller. His character as a person and real estate professional is impeccable. Call Mike for your real estate needs. Mike and his team first evaluated my home to determine what repairs/services would be required to show the home at its best. Then they provided a group of trusted contractors, and service people who would do the work at a fair price. After this, my home was sold in a reasonable amount of time and I was very happy with the outcome. From our first contact, Mike was very responsive and easy to talk to. He answered our list of questions and made us feel comfortable with the process. He was also readily available when we needed to talk. His office staff is top drawer--very professional and courteous. We sold our house within 3 days. The whole transaction went very smoothly. We couldn't be more pleased. We highly recommend Mike Mendoza! We recently hired Mike Mendoza and team to sell our home of twenty years. The home has been very special to us and it was a somewhat emotional journey for us, but the Mendoza team got the job done in a short amount of time, very much to our satisfaction. As promised, we were always given ample amount of time to prepare for showings and were notified of prospective clients' thoughts on our home. We find the process of selling a home to be quite stressful, but it proceeded much easier than we had anticipated. We appreciated all that the team did and their honest communication with us. We would strongly recommend The Mendoza to other prospective buyers/sellers as well. Mike was our realtor when we moved to Phoenix in 1989. Having grown up in the area, he certainly knew the lay of the land which was most hopeful since we were Easterners and totally unfamiliar with the Southwest! Being such a people person, Mike made us feel relaxed and comfortable. He helped us find a beautiful home in an up and coming neighborhood where we made so many wonderful friends, including Mike and his lovely wife, Jude. Recently, we decided to downsize and become urbanites. Mike, again, assisted us as we sold our original Arizona home and purchased our second in the heart of Phoenix. Mike is forthright, honest, and professional. I strongly recommend the Mendoza Team! We are so glad we chose Mike Mendoza and his team to list our home. The Mendoza Team has been the most proactive, aggressive and attentive real estate agent we have had. They are so professional and thorough and "patient" with their clients. Within a few days we had more than one offer on our home and one month later we have a "SOLD" sign posted. What else can we say...SUCCESS THANKS TO THE MENDOZA TEAM! Mike came to us as a referral from a realtor in Chicago where we live most of the time. We needed a Scottsdale/Phoenix realtor, because we wanted to buy a second home in that area. Mike came highly recommended and exceeded that! Our first communications were via the internet, then calls, and all along he and his staff were very responsive. I want to emphasize this responsiveness, because there have been times when Mike might not have been immediately available due to being with another client, but someone from his staff ALWAYS took care of us. We never had to wait for anything. Then we flew into Phoenix, met Mike at a property in Scottsdale, and bought the place. Mike was knowledgeable and pleasant and extremely helpful. We have never had such a smooth transaction, in all respects of the process. No one needs to deal with anyone in the Phoenix/Scottsdale area other than Mike Mendoza! Period...and his staff. And by the way, I am a realtor myself so I surely know how things should be. I learned from Mike, believe me. I bought a short sale in the Ahwatukee Foothills area with Richard Perry on the Mendoza team. I was living in Tampa preparing to move to Phoenix. Richard kept me informed of every detail and items that were necessary for the long short sale process (4 months). When I would call early in Eastern Time, he still picked up the phone. I can't say enough good things about my experience, but in short there is nothing that I could pick out to improve. Highly highly recommend Richard Perry and Mendoza team. Mike and his team were extremely helpful in all aspects of the simultaneous transactions of selling our home and buying one. The insight Mike has into the market forces present in the Ahwatukee area were absolutely essential to us in our transactions. His associate Cheryl was particularly valuable to us as our primary point of contact. They always had time to answer our many questions. I have owned homes in several states but have never had such professional service as the Mendoza team provided. In my opinion, they are the best. I had a fantastic buying experience using Mike as my realtor. His knowledge of the area and service went beyond my expectations. I highly recommend him. Mike and his team were outstanding, very knowledgeable and attentive to our needs. We ran in to some issues with contingences from the buyer and Mike resolved the issues without additional stress to us. Communication was outstanding , Cheryl consistently gave us updates and sent us all the documents needed to expedite the sale. Mike has a completely holistic view of his industry. He knows the area, it's demographics and potential for the property to sell. He works closely with other agents and follows up with them to actually sell the property. He uses all the tools, technologies and experience to find potential buyers for your house not just buyers looking for a house to purchase. He has strong closing skills which is critical at the time line when buyers are deciding on the purchase of the house. Mike is personable, tenacious and works hard in the best interest of his client. His staff at the Mendoza Team are responsive and follow up with you after showings and review all the documentation and provide clairification when necessary. We had an excellent experience and highly recommend him to represent you as a client. The Mendoza Team has served us well with our family’s home sales for almost 30 years. They are knowledgeable of the real estate market and always professional. They have also helped us choose excellent out of state realtors. We recommend The Mendoza Team without reservation. In 1994, Mike and his team helped me sell my starter home in Chandler, while also searching and finding my current 3 bedroom, 2 bath home in Tempe. Mike was extremely hands-on with my sale and personally showed me the homes that were in my price range and had the features I was looking for. Twenty-two years have passed since that initial experience and when I move next, I know Mike and his realty team will be there to help me once again. I'm a first time home buyer and never expected such mishaps to happen. I had picked an agent thinking that it could all be the same however I was sadly mistaken. The agent was responsive, didn't know how to negotiate and made our first time a really bad experience. That is when I was recommended to Mike who then had all the answers to my questions, responded to everything I had asked and treated me like family! I'm in the process of trying again to buy our first home again and this time going with Mike Mendoza! Mike Mendoza is one of the best realtors in Ahwatukee. I worked on his team as a buyers agent. I have seen how other agents teams work and they don't come close to the professionalism of mike mendozas team. That is why when I stopped working as a realtor and took a job working Monday-Friday I had mikes team sell my house. I worked with Stephanie Ameen for my home sale in 2007. She did a great job in the details on what to expect and the process that would occur for my 1st house. She was new to the market but did a good job. In the past, prior to working with the Mendoza Team, Stephanie both listed and sold my home in Ahwatukee. She displayed warmth and enthusiasm. She was motivated, helpful, and insightful about the process. She conducted a great open house, resulting in a quick sale. Had a wonderful experience with Mike and his group and Stephanie Ameen my Realitor. They were very responsive and helped me through the process. I would recommend Stephanie and Mikes group to all my friends. We worked with Mike and his team member Greg Kilroy. They were both experts and provided great guidance. Our home sold in one month for 99% of asking!